Stretching from the Amazon Basin in the north, to the majestic Iguaçu Falls in the south, Brazil is one of the most diverse and exciting destinations for tourists looking to experience a world of wonder. Luckily for passport holders from Canada, the U.S., Australia, and Japan, a visa will no longer be required to travel to the nation. The Brazilian government had previously waived visa requirements in 2016 ahead of the Rio Olympics to temporarily encourage easy travel, which reported a record number of 6.6 million international tourists. As part of a bid to continue boosting tourism in the nation, these visa waivers for Canada, the U.S., Australia, and Japan, will come into effect as of June 17, 2019 and will remain permanent. Although Brazil is the most popular destination in Latin America, the country currently ranks in 51st place on the Global Welcoming Score, allowing only 94 countries to enter without a visa. Once these changes come into effect, Brazil will jump up to the 48th global position, making it the 5th most welcoming nation in South America. 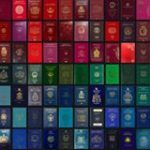 These changes will also influence the Visa-Free Score (VFS) of all four countries, bringing both the Japanese and American passports up to 3rd place on the Global Passport Power Rank with a 166 VFS. The Canadian and Australian passports will also move up to 4th and 7th place respectively.